We welcome submissions from anyone interested in religion in the public sphere. 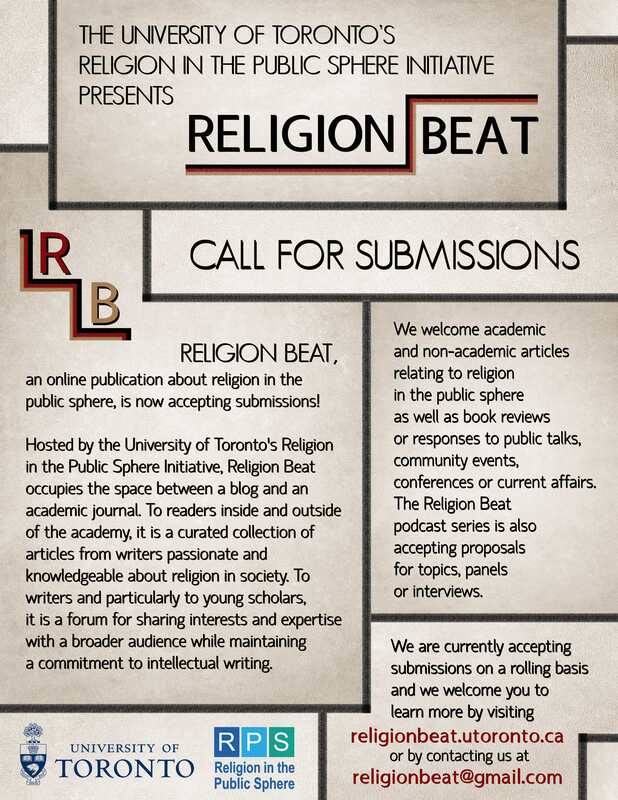 Whether you’d like to workshop an idea with one of our editors or you have an article ready to submit, you can email us at religionbeat@gmail.com. If the latter, be sure to include a list of keywords and a short description of who you are (max. 50 words). Please read our handy FAQ before submitting!